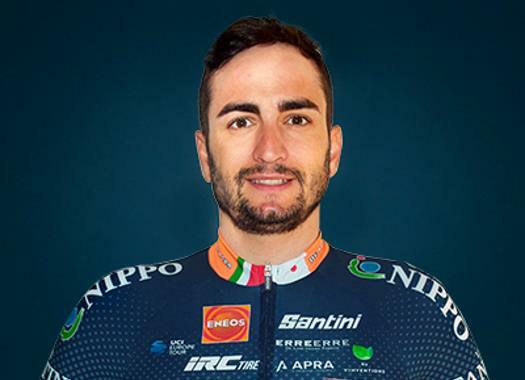 Nippo-Vini-Fantini's Juan Jose Lobato has the target to continue improving his shape in the 2019 season to prove himself that he can be in his WorldTour level once more. The Spaniard was fired from LottoNL-Jumbo one year ago after taking and sharing sleeping pills that were not prescribed by the team's doctors during the winter training camp. Not too much time after, he was hired by Nippo-Vini-Fantini, where he had a good season at the Professional Continental level that included a victory at the Coppa Sabatini-Gran Premio citta di Peccioli. "At the end of April, at the Tour of Croatia, I started feeling really better and then at the GP in Frankfurt it went well," said the rider to Italian website Cicloweb. "The week after, at 4 Jours de Dunkerque, I fell in the third stage and fractured my clavicle, so I had to start all over again." But things improved at the end with the Coppa Sabatini. "In previous races I felt good, I had taken the fifth place in Brussels and the fourth in the Bernocchi Cup. The type of arrivals like the one of Sabatini is the best for my characteristics. I knew I could do well and it was also against very strong rivals." Now the rider aims to prove himself that he can get to the shape he had when he was at the WorldTour level in Movistar and LottoNL-Jumbo. "I am happy here at Nippo, particularly because of the opportunity that they gave me," the Spaniard said. "But I have the desire to prove to myself that I'm worth for a WorldTour team. "But not because this team doesn't have a good level, given that it only lacks the budget to belong to the higher circuit, the organisation and the environment are impeccable. I went out of the WorldTour in a way that I didn't want and I really want to return to finish what was left unfinished."